This month I decided to recycle some books from previous My TBR List months (and yes, two of them are from last month's voting). As I have several books that need reading for my 2016 Reading Assignment Challenge, and since I always have a hard time figuring out which book to read for which month first, why not continue making use of the My TBR List voting to figure out what to read from this list? So this month will be the July Reading Assignment edition! 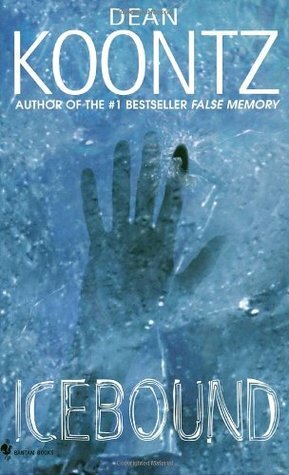 A secret Arctic experiment becomes a frozen nightmare, when a team of scientists are set adrift on an iceberg--with a murderer in their midst, and a massive explosive charge only hours away from detonation. **For BookLikes members reading this in the BookLikes dashboard view: Click here to generate the voting box on another page if you would like to vote. I don't know why the voting box doesn't show, though it appears in blog view just fine. **For everyone else voting via BookLikes blog view or at the Book Abyss's Blogspot home: You may ignore the above tangent. The voting box shows just fine. Again, thank you for stopping by and voting! Previous My TBR List months at Ani's Book Abyss can be found at the Bookish Memes page. I totally went with the first book because I love the dress she is wearing!! I mean the blurb sounds good too though :) Enjoy the winner!! :D The dress was also one of the things that caught my attention when I first saw the cover. I'm so curious abut this book because I've heard good things about it. Thanks for voting! I went with Icwbound as it looks scary! That hand! Eekk! Dean Koontz has always delivered, so I'm kind of hoping it'll be as creepy as the cover suggests. lol Even though I'm a fraidy cat. :P Thanks for voting! None of these books look like books I would read, but I hope you enjoy the winner. 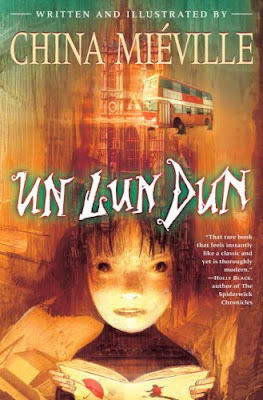 I went with Un Lun Dun. It sounds so interesting. I don't read much childrens, but it DOES sound very interesting. Thanks for voting! Thank you! I'm very curious about Hanover and I've been making my way into historical fiction lately, so I'm looking forward to reading it. I voted for Un Lun Dun as it sounded original. It does sound interesting. I'm curious about it, even though I don't really read many childrens books. Thanks for voting! I love Dean Koontz so I voted for that one. Can't wait to see which book wins! Dean Koontz was always a personal favorite since high school for me as well! I've had this book forever and really need to get to it. I'm sort of hoping it will win... but then again, I'm also wanting to read the other books too. Decisions! So glad for this TBR List meme! Thanks for voting! I voted for Icebound again, because it looks like a cool summer read. How to choose! Go with the author I am familiar with (Dean Koontz--what a great storyteller!) or the prettiest cover or the author I've been meaning to read for ages now? Hmm. They all really should good when it comes down to it. I think I'll vote for Un Lun Dun. I hope you enjoy whichever wins! Have a great week! Thanks! This is what the TBR List meme is great for, because I couldn't decide for myself which book to go for first. haha Dean Koontz is, indeed, a great storyteller and has been a personal favorite since my high school days. But Hanover has such a pretty cover and I've been getting into historical fiction lately. Then China Mieville has been an author I've always wondered about. Yikes! I voted for Hanover Square because of the three, it's more my genre. Koontz is good - I've read one of his books - but horror is hard for me. Lol! Enjoy whichever wins. 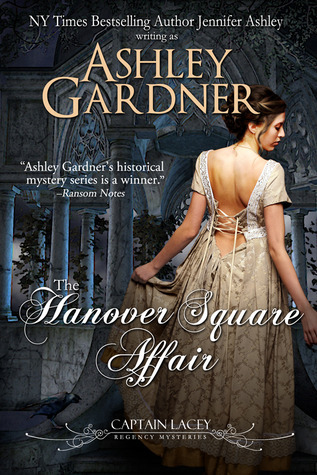 I went with the Hanover Square, I just liked the sound of it! Enjoy your winning book! Thank you! I've been reading a lot of historical fiction lately and am looking forward to this one.